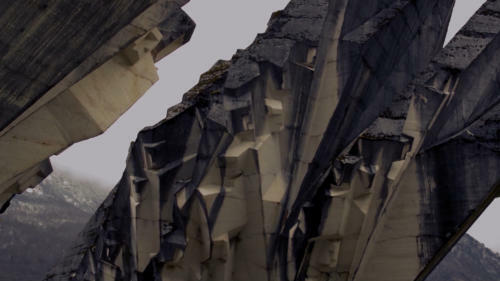 Transformers / video / color / hdv / 8:35 min / 2015 The most significant memorial of former Yugoslavia commemorating the fallen partisans, the “memorial of victory” can be found in the national park of Tjentište/Sutjeska. 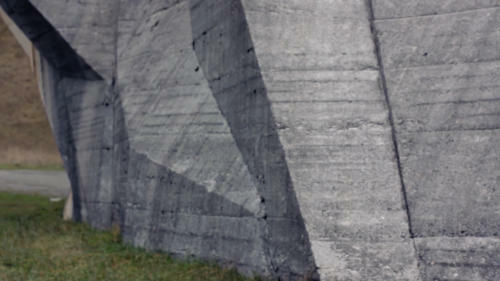 Designed by the sculptor Miodrag Zivkovic, the monument was unveiled in 1971 at the site of one of the bloodiest battles between the Axis Forces and the Yugoslav People’s Liberation Army during the Second World War. The Memorial and ossuary constructed at Tjentište, where mortal remains of 3,301 Sutjeska fighters were buried was built. Established in 1975 by Takara Tomy first as a comic and launched in 1984, Hasbro's Transformers toyline was promoted through both a comic book by Marvel Comics and an animated series produced by Sunbow Productions and Marvel Productions. Transformers is a media franchise produced by American toy company Hasbro and Japanese toy company Takara Tomy. Initially a line of transforming toys rebranded from Takara's Diaclone and Microman toylines, the franchise began in 1984 with the Transformers toy line, and centers on factions of transforming alien robots (often the Autobots and the Decepticons) in an endless struggle for dominance or eventual peace. In its decades-long history, the franchise has expanded to encompass comic books, animation, video games and films. The term "Generation 1" covers both the animated television series The Transformers and the comic book series of the same name, which are further divided into Japanese and British spin-offs, respectively. Sequels followed, such as the Generation 2 comic book and Beast Wars TV series, which became its own mini- universe. Generation 1 characters underwent two reboots with Dreamwave in 2001 and IDW Publishing in 2005, also as a remastered series. There have been other incarnations of the story based on different toy lines during and after the 20th- Century. The first was the Robots in Disguise series, followed by three shows (Armada,Energon, and Cybertron) that constitute a single universe called the "Unicron Trilogy". A live-action film was also released in 2007, with a sequel in 2009, a second sequel in 2011, and a third in 2014. again distinct from previous incarnations, while the Transformers: Animated series merged concepts from the G1 story-arc, the 2007 live-action film and the "Unicron Trilogy". Transformers: Prime previously aired on The Hub.